Want to see what is for Sale at Maui Meadows? Click Here to see Maui Meadows Homes For Sale. 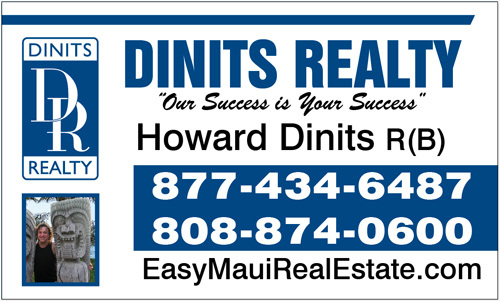 Selling a Home In Maui Meadows? Maui Meadows is a coveted neighborhood in South Maui with sophisticated homes, stunning scenery, and superb quality of life. This exclusive community is located on a hill above the Piilani Highway in South Kihei on the lower slopes of Haleakala, and adjacent to the 20,000 acre Ulupalakua Ranch. Maui Meadows was originally three separate subdivisions when it was originally established in the late 1960’s and early 1970’s. Three separate Homeowner Associations represented properties in the lower, middle and upper elevations with Covenants, Codes and Restrictions that were the same except that the property owners at the top of the community bordering the ranch, have to maintain a cattle proof fence. Since then the associations have consolidated into one, and now represents not only property owners but all the residents in Maui Meadows. Approximately six hundred homes and thirty vacant land parcels are found in this exceptional district. Maui Meadows is unique from other parts of Kihei and Wailea because of its elevation, large parcel sizes and relaxed CC&R’s. Maui Meadows is not a gated community and unlike Wailea subdivisions does not have sidewalks, many street lights, curbs or gutters. Home buyers flock to this area for the elevation is cooler and comfortable, and makes incredible views of the pacific ocean, sunsets, and island of Kaho’olawe, Lanai and Molokini possible. This locale is the only place where you can purchase South Maui Real Estate with parcels as large as half an acre or more. Maui Meadows is where you live to have large impressive estates with tropical landscaping for privacy. Here you have room if you want a large pool with a cabana nestled in a natural setting of boulders with a cascading waterfall. Want a private tennis court? Want to grow a tropical fruit orchard or a couple of mango trees? Want to park a boat on your property? Would you like a detached ohana or cottage for visiting guests or extra rental income? There is room for it here and there are no rules that would prohibit it like other upscale communities in Wailea and Kihei. This freedom draws the well-off to Maui Meadows to create their personal tropical retreats close to the world class golf courses, resorts, fine dining, south Maui’s finest beaches, and all that Wailea and Makena has to offer. Selling Home In Maui Meadows?